Harris Invictus Academy is a secondary school that opened in September 2017. 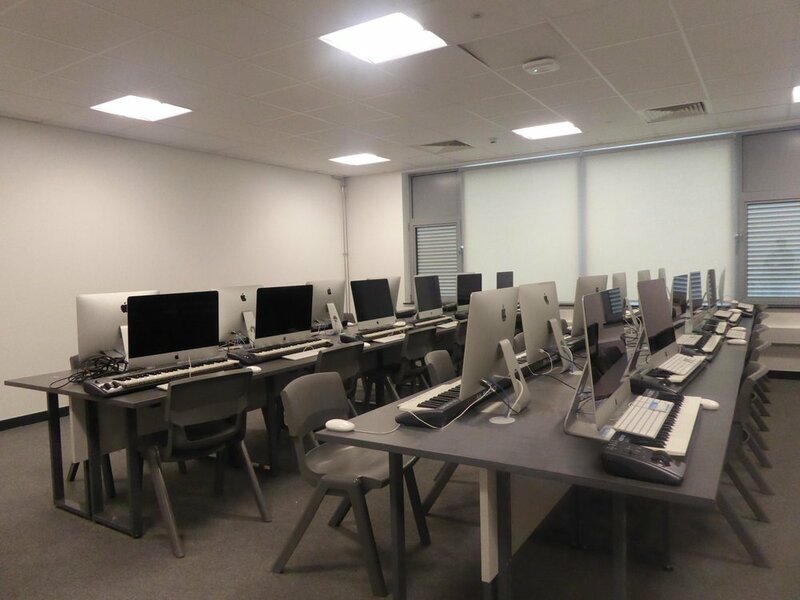 FFE Consulting's scope consisted of the design and delivery of fixed and loose furniture and the decant of furniture from the existing school to the new building. The academy is part of the Harris Federation; an education charity that operates Primary and Secondary academies in and around London. There are currently 44 open Harris academies educating 32,000 students. For the fixed furniture, FFE Consulting produced detailed production drawings which were transmitted back to our factory and enabled close monitoring of both the production and installation of this element during the project. The bespoke workbenches and science bollards were designed to give maximum usage for the school and meet the specific needs of each department. By designing space efficient layouts, FFEC were able to create practical and usable spaces for the students of the academy. In addition to the new furniture, FFE Consulting conducted a legacy audit of the existing furniture being used in the temporary buildings. The layouts were then adjusted accordingly to accommodate the existing furniture into the new school. With labelled furniture and crates, together with detailed plans, FFEC were able to successfully execute the distribution of existing and new furniture that was delivered to site, to their new location within the school.